Well, I am loving your robin egg blue teacup! 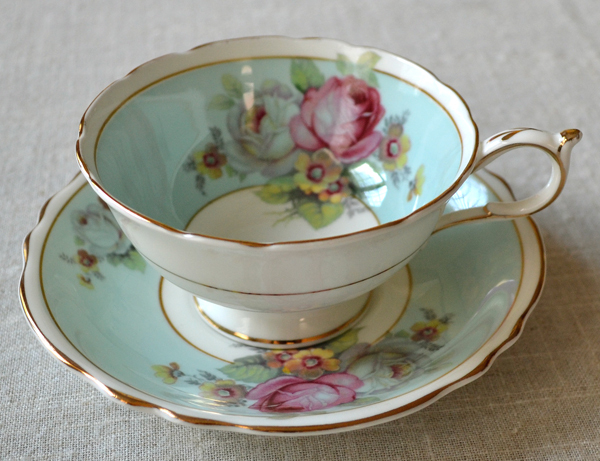 My favourite colour, and with roses makes it the perfect cup for summer. 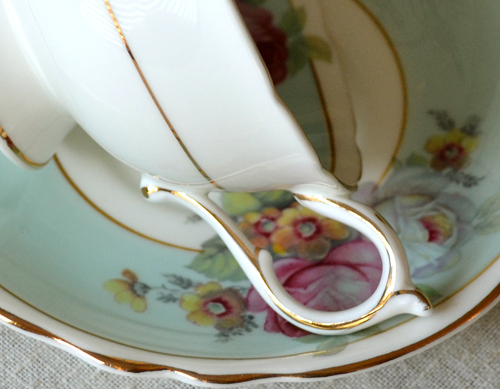 Thank you for sharing this delightful teacup with us and enjoy your week, sweet lady. 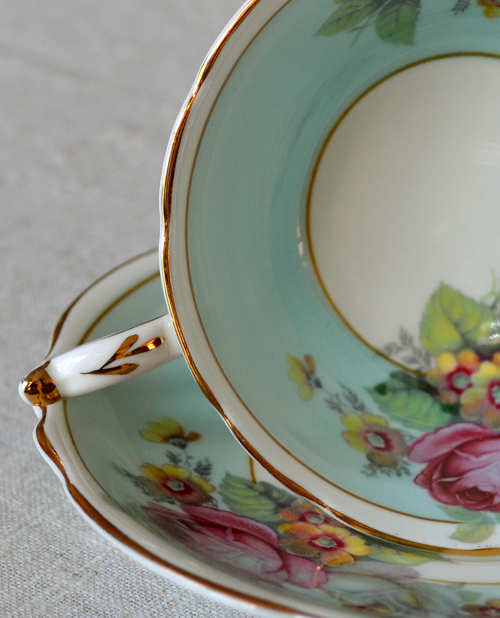 What a beautiful teacup you are sharing with us this week. I think I need to start looking for one like yours. Thank you for hosting. I love your teacup! I am so glad I found these teacup parties! Hi Terri. Love your teacup. Knew it had to be Paragon! Lovely! That is one of the most beautiful teacups I have ever seen! Thank you for co-hosting a wonderful weekly linky party!! Terri ,do you have your cups in special cupboards? or displayed on shelves here and there? You have so many gorgeous tea cups! This one is surely one of my favorites so far :) I just love those colors and the roses! Paragon!!!! What would we do without Paragon?!!! Our teacups just wouldn't be the same!!! :D :D :D As you can tell, I like this cup! Happy Tea Day!!! The Paragon is beautiful! I love the softness of the color and the roses are divine! I think I like this cup so much because of it's delicate roses and it's not overwhelming with them. Just a light tough. VERY SWEET! The color sets a calming mood. Another fabulous teacup to share! I LOVE this shade of blue ~ its so soothing. I've noticed that Paragon is the maker of most of my favorite teacups too!!! Your photos are beautiful so crisp and sparkly. P.S. I'm having a giveaway too if you'd like to stop by and take a peek! What a gorgeous robin egg blue teacup. And the roses accent your teacup so beautifully. Thanks for hosting. Hi Terri! Really lovely cup today! I do like that blue - it seems to have been a popular color in the '50's in china - I have seen many in this shade. Love those little gold swaths on the handle best! I've got my Anne tribute up today - missed the party last week - circumstances beyond my control as we're catching up after that nasty derecho storm. o how beautiful this cup is, I love it! I am watching a documentarry about Marie Antointte, very interesting. Have a nice day! 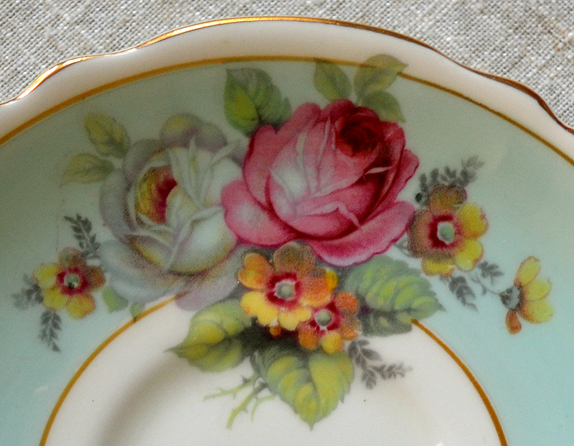 I think this is the prettiest teacup I've ever seen--love the beautiful color and the roses! Hi Terri..what a gorgeous cup..I love that robin- egg-blue..stunning and so cheeerful! Beautful as always!! Hugs and happiness..wishing you a blissful beautiful summer day! Hello Terri! Love your Paragon teacup! 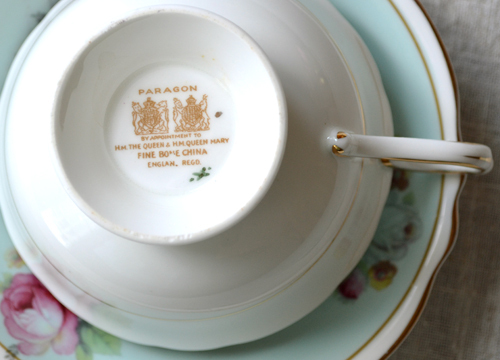 Fascinating - you and Martha shared Paragon teacups this week - in green - too cool. They are quite lovely. Hello Terri! Lovely teacup as usual! Oh, what a beauty! I love the soft colors, and the beautiful florals. 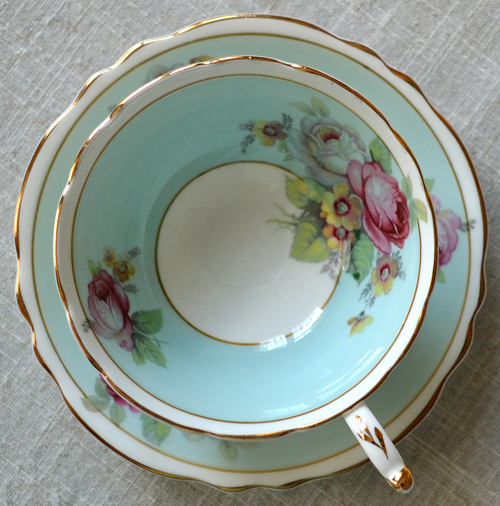 Gorgeous teacup, one of my favorite EVER! I'm drawn to blues and to flowers so that may in part be why I like it so much. 1, [url=http://www.effexorbenefits.net/]Buy Venlafaxine[/url] - Cheap Effexor - effexor pills http://www.effexorbenefits.net/. 17, [url=http://www.k5ww.com/]Phentermine No Prescription[/url] - Order Phentermine - cheap phentermine http://www.k5ww.com/ .